So , it's been a while! Well, after the Sew for Victory sewalong I found myself needing a bit of a break. Nothing serious, just life in general. I decided to leave the sewing alone, until I had an urge to sew again, and this weekend the urge surfaced. So, I made a skirt! Although unblogged, I have attempted some skirt sewing earlier, but never really had any good results. I lost interest and left it. But with summer drawing close, the skirt shaped hole in my wardrobe became to much to ignore. I love the look of cute skirts in summer and they are so easy to wear, but I have struggled finding my style. I love the look of pencil skirts, but I have found that they are difficult to sew and make look good on my boardlike figure. This winter I came across some sewing patterns in my local thrift store (which never happens! ), so I bought them all! 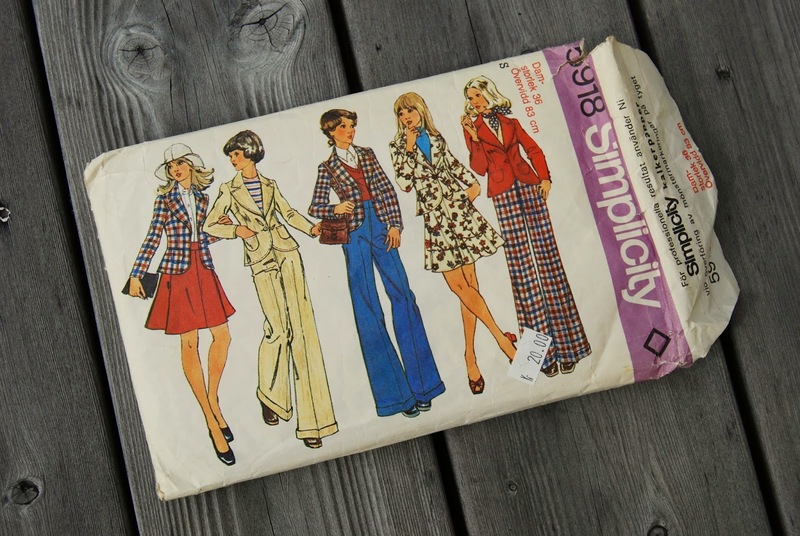 Among these was this cute 70s pattern for pants, skirt and jacket. 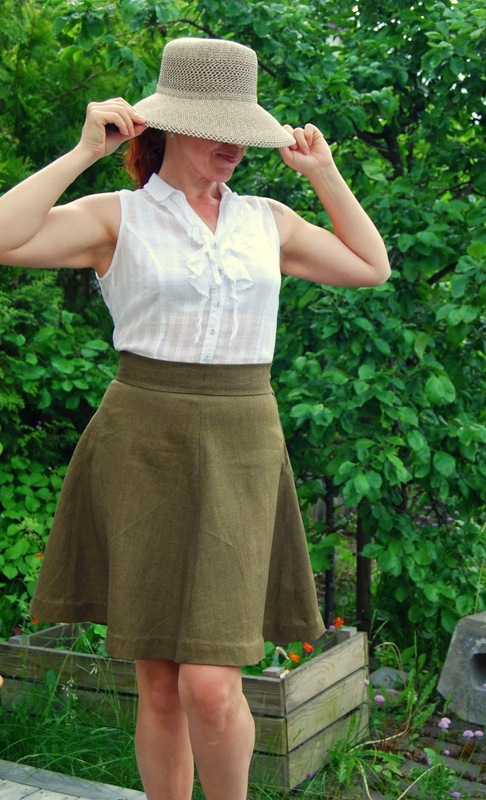 The skirt would be a perfect quick project, and I had both fabric and notions in my stash. Win win! 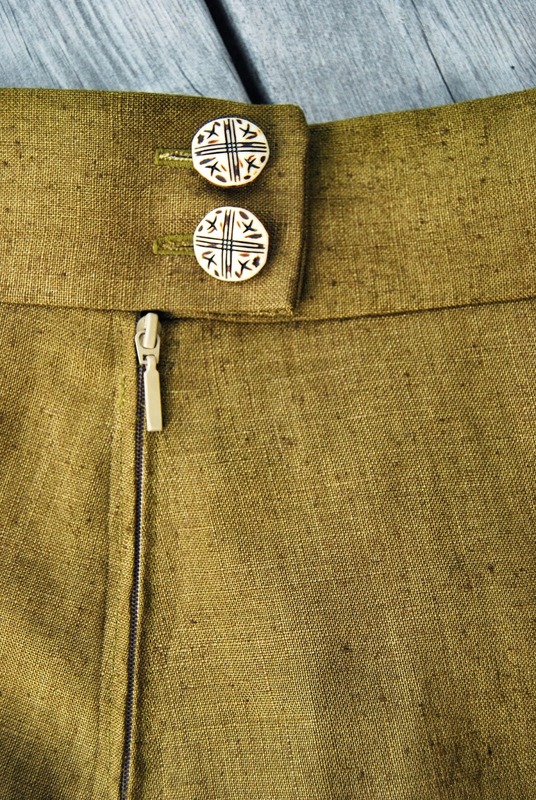 The fabric is a medium to heavy weight linen, that was originally destined for a dress. It was gifted to me by my mom years ago :) Thanks, Mummy! I came to the conclusion that is was too heavy for a dress (and insanely wrinkly! ), so a casual skirt would be better. The construction was straight forward, and basically a breeze right up to the hemming. I'll be the first to admit that the hemming on this thing is not my brightest of sewing moments, but it was dang hard! The linen was stiff and hard to wrangle, but it works. Kind of. I also think an invisible zipper would look better, but I am fine with this one. It came off some pants that was given to me, so totally free of charge. Recycling is rewarding! It is hard to see from the photo, but I got to try the overlock-stitch on my machine too! I can't believe I have never tried it before, it worked great on this fray-happy fabric! I read about the stitch setting on some excellent blog some time back, and was baffled to find that my cheap little machine had it :) I love you, little Singer! It is good to be sewing again, and this instant satisfaction was just what I needed. Besides, I think this pattern will be great in other versions too. Finally, a tried and true favourite! 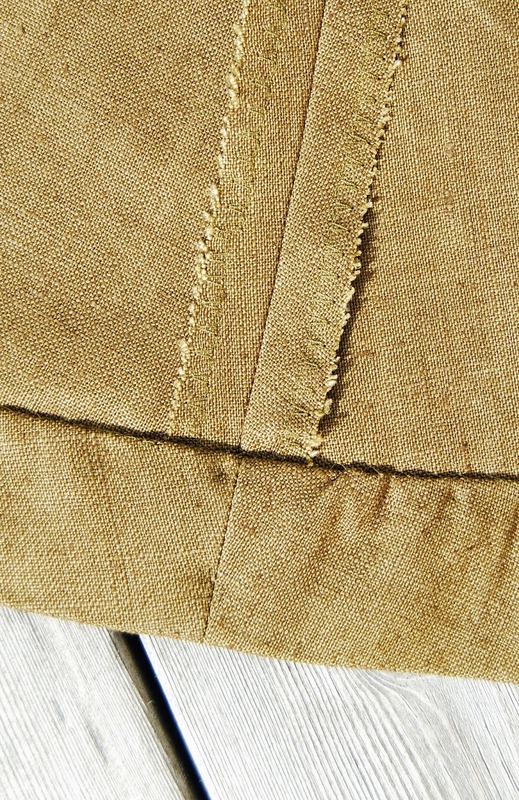 Have you done any quick 'n easy summer sewing?